We are about pampering! Over 25 years of experience. For men, Women & Teens Full- Service spa to renew, revive and rejuvenate the mind, body and spirit!!!!! We perform everything from laser hair removal, customized scientific facial, Skin Tag and spider vein removal, ear candling, body waxing, electrolysis-permanent hair removal for all hair types and skin types. Some of our other treatments include: oxygen therapies, spa-jet hydrotherapy capsule, detoxifying sauna treatments, shirodora, ayervedic scalp and neck massage, cellulite treatments, salt-glows, sugar scrubs, chocolate fondue & Herbal wraps, parafango slimming treatment, Seaweed purifying treatments for entire face and body treatments, Warm Paraffin dip for the hands, feet, face and body. Welcome to our NEW website. Our previous website designer turned out to be a psychopath and is holding our previous domain for ransom while extorting money from us. Our NEW domain is thespa4skin.com ! p.s. I fixed many of your broken links and misspellings - Henry. Welcome to The Spa 4 Skin! WE OFFER A FREE SKIN ANAYLASIS and a free consultation is also available. 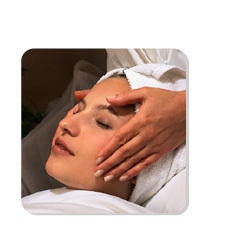 Specials like de-stresses for the bride to be and teens pre-prom are available. There are men specials also for laser back treatments and men's facials. We provide electolysis for the removal of lighter hair types, hyperpigmented skin and to aid in the clearance of acne and anti-aging lifting techniques - an alternative to plastic surgery. We now provide individual classes with one on one training for waxing, electrolysis (permanent hair removal), laser hair removal, and laser specialties such as laser tattoo removal, sunspot removal, rosacea therapy, laser genesis (facial), and spider vein removal. Call for a free consultation and special bridal and day-of-beauty packages! Open 7 days! Flexible hours, for all your demands!